For most wedding planners the season finishes early September, but in the south of Spain our weddings remain hot and sunny right through until the end of autumn…so our final wedding of 2016 took part on the 31st October with a villa wedding in Nerja. Halloween may be a scary day for some, but not for our beautiful couple Cat and Graeme who chose to marry in one of the Costa del Sol’s most picturesque locations. 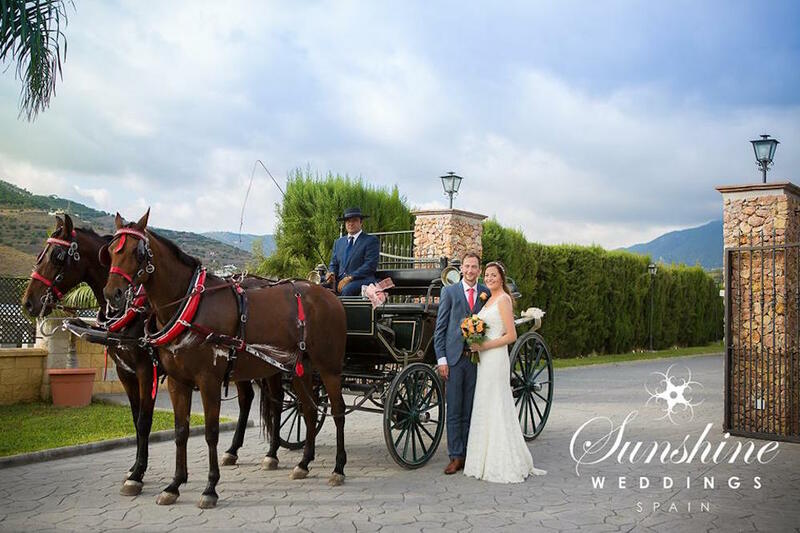 Nestled in the pretty town square of Nerja, El Salvador is a typically Spanish church in which to marry for any couple wanting a true destination wedding with added Andalusian charm. Cat and Graeme had a wonderful service complete with the angelic voice of singer Laura Ellen accompanying them down the aisle with Canon in D and a tear-jerking rendition of Ava Maria. Graeme looked dashing in his navy suit and his tie coordinated perfectly with the four bridesmaids wearing long coral gowns clutching their coral and white rose bouquets. Cat’s understated elegance in her fitted gown, complete with jewel encrusted neckline and a short train, was a perfect fit for their traditional Spanish wedding in Nerja. 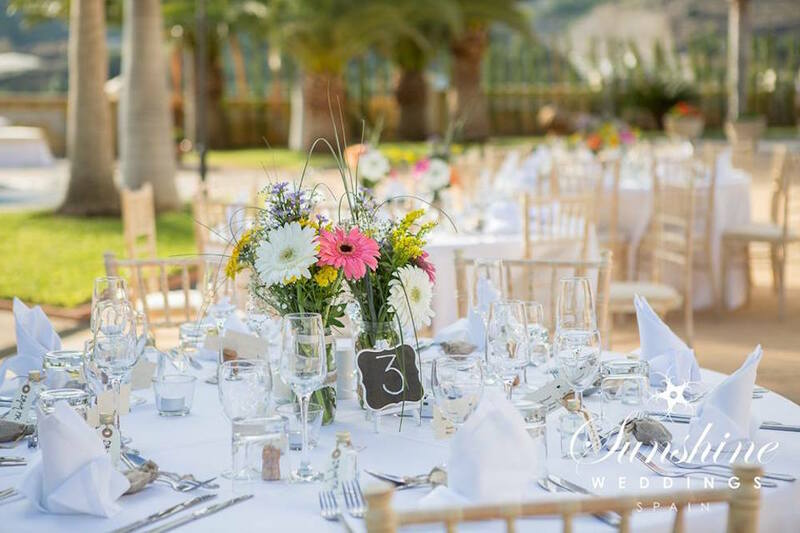 Theirs was an intimate gathering of around 40 guests who all chose to stay locally for the duration of Cat and Graeme’s villa wedding in Nerja. After the ceremony, guests were treated to chilled beers and sangria in the nearby local hotel while the happy couple had their photos taken. 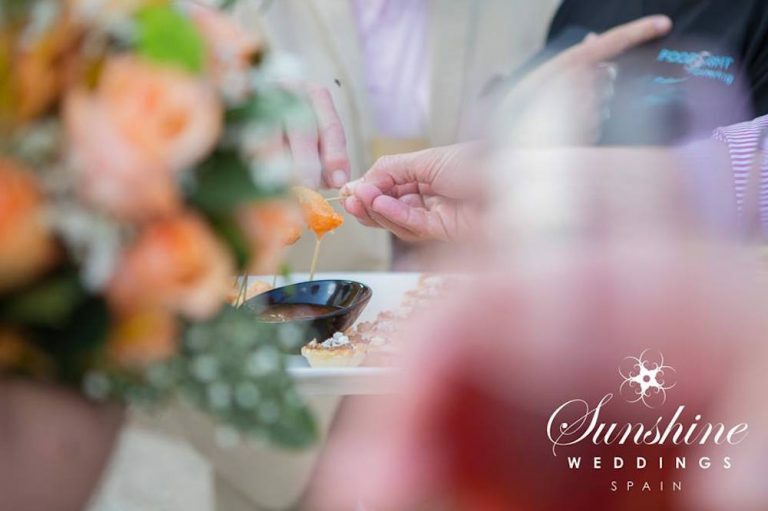 October is a wonderful month in which to marry in Spain, with over 300 days of sunshine on the Costa del Sol our couples rarely have to worry about the weather, but the beauty of an autumn wedding in the south of Spain is that you can enjoy the sunshine yet are not too hot. Guests are always happy to have a mini holiday in the sun to get away from the winter back home! After a short refreshment break the guests were led to a meeting point where they were transported to the couple’s chosen villa wedding venue for a party to remember. Join us in Part Two of Cat and Graeme’s special day and discover why their wedding guests were blown away by the happy couple’s entrance!